CONFERENCE HAS SOLD OUT – NO MORE TICKETS AVAILABLE. 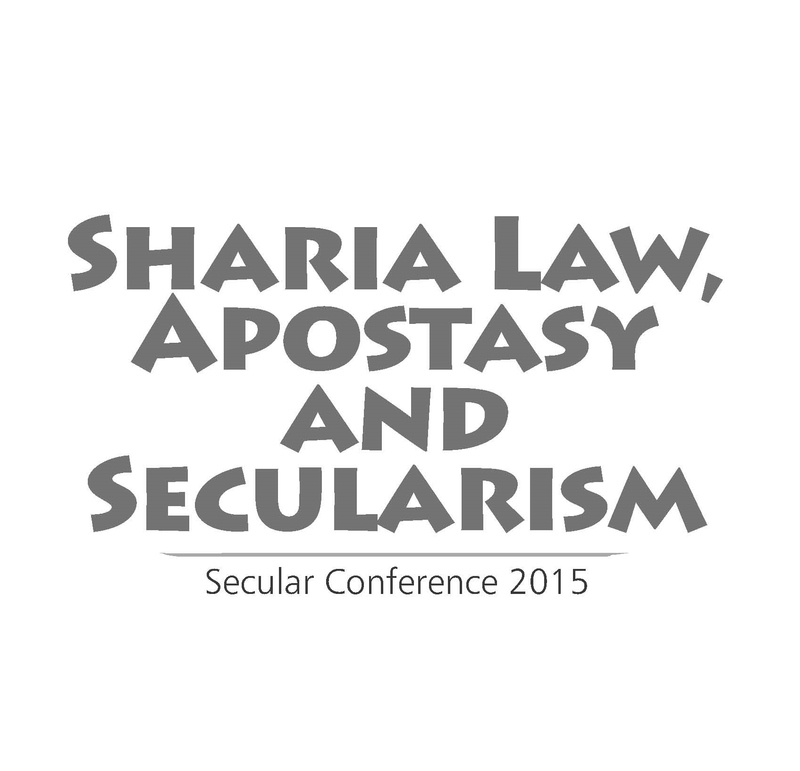 The day-conference will include discussions on Charlie Hebdo and freedom of expression, apostasy and blasphemy laws, Islamism and the religious-Right, Sharia in the Law, Educational System and Public Policy, as well as Secularism and Citizenship Rights. Speakers will discuss the successful campaigns against the Law Society and Universities UK and how the fight for equal rights and an end to discrimination against ex-Muslims and for free expression are integral to the urgent fight against Islamism and the religious-Right and for a secular society. See agenda below. Speakers at the 7 February conference will include Activist Ahmed Idris, Campaigner for Secular Education Aliyah Saleem, Spokesperson of the Council of Ex-Muslims of Britain Amal Farah, Activist Atoosa Khatiri, Secular Activist Chris Moos, Director of the Centre for Secular Space Gita Sahgal, Founder of the Council of Ex-Muslims of Morocco Imad Iddine Habib, Spokesperson of One Law for All Maryam Namazie, Spokesperson of the Council of Ex-Muslims of Britain Nahla Mahmoud, Human Rights Campaigner Peter Tatchell, Southall Black Sisters Director Pragna Patel, Founder of Ex-Muslims of Scotland Ramin Forghani, Nari Diganta’s Rumana Hashem, National Secular Society President Terry Sanderson and Women’s Rights Campaigner Yasmin Rehman. See full biographies below. Ahmed Idris is an aspiring journalist who has worked with senior politicians (including Lynne Featherstone MP and Diane Abbott MP); researched for think-tanks (including the Royal Institute for International Affairs); contributed to media publications (including Think Africa Press) and is currently an active member of the Liberal Democrats, One Law for All and Council of Ex-Muslims of Britain. He holds a BSc in Law from University of East London. Aliyah Saleem spent 6 years in an Islamic school in Britain and 1 year in Pakistan. In Britain, she was veiled, prohibited from using a camera and mobile phone. She was expelled when a camera was confiscated during a surprise room check and revealed an unveiled photo of herself. The experience traumatised her and she now campaigns for secular education for all. Amal Farah is Spokesperson for the Council of Ex-Muslims of Britain and One Law for All. She is Somali-born and was raised in a conservative and literalist Muslim household. Her story was covered in the Telegraph: “I renounced Islam, so my family think I should die” and the Independent: “Allah vs atheism: ‘Leaving Islam was the hardest thing I’ve done'”. Atoosa Khatiri is an aspiring solicitor, with experience of human rights and medical law. She is an active member of One Law for All and Council of Ex-Muslims of Britain, and co-author of the report Political and Legal Status of Apostates in Islam. She holds a BSc in Law from the University of East London and postgraduate degree from Nottingham Law School. Chris Moos is a secular student activist. After getting harassed and threatened with physical removal by his university he has led a successful campaign for the right to wear ‘Jesus and Mo’ t-shirts, and co-organised the campaign against gender segregation, as well as the campaign in support of Maajid Nawaz, all of which received national news coverage. 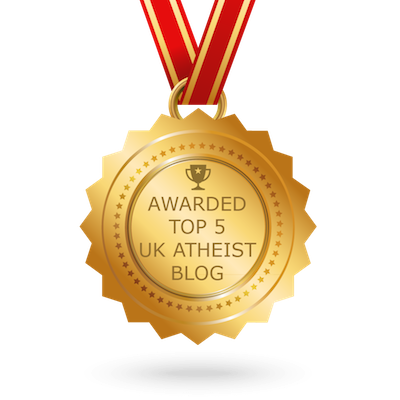 Chris was a nominee for the Secularist of the Year 2014 award. Gita Sahgal is an Indian-born writer, journalist, film-maker and rights activist. She is currently Director of Centre for Secular Space, and a co-founder and active member of Southall Black Sisters and Women against Fundamentalism. In February 2010, she was suspended by Amnesty International as head of its Gender Unit after she was quoted criticizing Amnesty for its high-profile associations with Moazzam Begg, the director of a campaign group called Cageprisoners. Imad Iddine Habib is a Moroccan atheist threatened for his atheism. He is founder of the Council of Ex-Muslims of Morocco, the first public atheist organisation in a country with Islam as the state religion. The Council of Ex-Muslims of Britain declared May 15 “International Imad Day” in order to galvanise support for his case. His case was also highlighted in a 2013 CEMB report on the political and legal status of apostates in Islam. Kate Smurthwaite is a stand-up comedian and political activist. She has appeared on more than 500 TV and radio shows including This Morning, The Big Questions, Woman’s Hour and The Moral Maze. In 2013 she won a Three Week’s Editor’s Choice Award for her show at the Edinburgh Festival. Kate is a writer for BBC Three show The Revolution Will Be Televised and is the Vice Chair of Abortion Rights UK. Maryam Namazie is Spokesperson for Fitnah, One Law for All and Council of Ex-Muslims of Britain; editor of Fitnah’s Unveiled; Central Committee member of the Worker-communist Party of Iran; and National Secular Society Honorary Associate. She was awarded Journalist of the Year Dods Women in Public Life Awards and was NSS’s 2005 Secularist of the Year Award winner. She is the producer and co-host of Bread and Roses TV. Nahla Mahmoud is an environmentalist and human right activist originally from Sudan. She works with a number of campaigns in the UK including One Law for All and Secular Middle East and North Africa. She leads the Sudanese Humanists Group and is Spokesperson for the Council of Ex-Muslims of Britain. Peter Tatchell has been campaigning for rights and global justice since 1967. He is a member of the queer human rights group OutRage! and is the Green Party’s spokesperson on human rights. New Statesman readers voted him sixth on their list of “Heroes of our time”; he was Campaigner of the Year in The Observer Ethical Awards, Evening Standard’s 1000 Most Influential Londoners and the 2012 Secularist of the Year winner amongst others. Pragna Patel is a founding member of the Southall Black Sisters and Women Against Fundamentalism. She has also written extensively on race, gender and religion, including ‘Citizenship: Whose Rights?’, ‘Faith in the State? Asian Women’s Struggles for Human Rights in the UK’, and ‘Shrinking Secular Spaces: Asian Women at the Intersect of Race, Religion and Gender’. She was listed in The Guardian’s Top 100 women: activists and campaigners. Ramin Forghani is the Iranian-born founder of Ex-Muslims of Scotland, an organisation affiliated with the Council of Ex-Muslims of Britain and the Vice Chair of the Scottish Secular Society. Rumana Hashem is a Bangladeshi-born rights activist and a political-sociologist. She is a founding member of Nari Diganta, a secular Bangladeshi women’s organisation in Britain. Currently based at the Centre for Research on Migration, Refugees and Belonging at the University of East London, she completed a doctoral research on gendered and sexualised violence in the armed conflict in south-east Bangladesh. Rumana represents Nari Diganta in the campaign against Sharia Law in the UK. Terry Sanderson is a writer and journalist and current President of the National Secular Society, which campaigns for the separation of church and state. He was prominent in organising the Protest the Pope demonstrations and is a frequent broadcaster and columnist. He is also a well-known gay rights activist and wrote a media monitoring column for Gay Times for 25 years. He has written seven books. Yasmin Rehman is a freelance consultant and doctoral candidate at the School of Oriental and African Studies. Her area of research is polygamy and the law. She has worked for more than 20 years predominantly on violence against women, race, faith and gender, and human rights. Yasmin has worked for Local Government, the Metropolitan Police Service as Director of Partnerships and Diversity (2004-08) during which time she also held the Deputy national lead for forced marriage and honour based violence. Yasmin has most recently been commissioned as founding CEO of a race equality charity in East London, followed by Transforming Rehabilitation bid and now reviewing police responses to domestic abuse for national charities. Yasmin is currently member of the Board of EVAW (End Violence Against Women Coalition), an Independent Adviser for City of London Police and a member of the Centre for Secular Space.